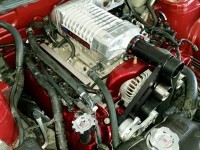 Besides power adders, an engine swap is the best way to add power and eye candy under the hood. We can guide and advise on the right power plant, and then make it happen for you. From carb’d strokers to Coyote swaps, the sky is the limit.